Once again, Rincón de Guayabitos will host a national tourney with the Isla del Coral in the background. 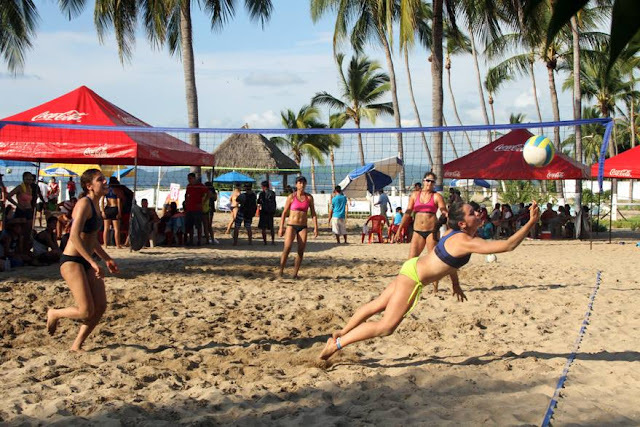 This event serves to continue its positioning among the top beaches in Mexico for competitive beach volleyball. The 2017 “Copa Guayabitos” Volleyball Tournament will take place next Saturday and Sunday, January 28-29, 2017, when the beach at Rincón de Guayabitos will once again be the gathering place for the best players of this sport in Mexico. The competition is organized by the Compostela Municipal Hotel Association. 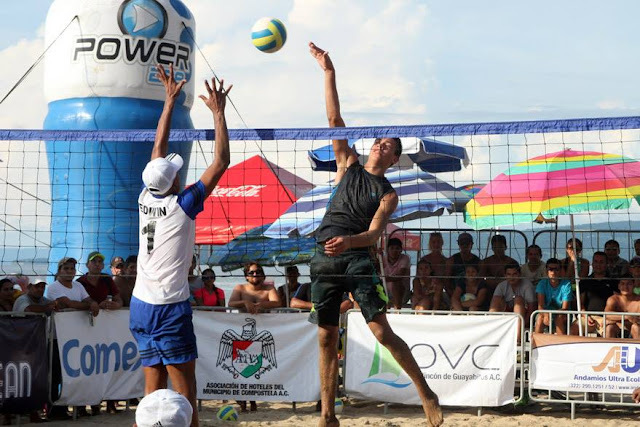 Its president Alejandro Chávez Bustos, pointed out it’s free for the general public thanks to the sponsorship of the state Secretary of Tourism and the Tourism Promotion Trust. The Compostela City Hall as well as the Riviera Nayarit Convention and Visitors Bureau also lent their support. The event has also received the endorsement of the Mexican Volleyball Federation and the Nayarit Volleyball Association. There will be MX$30,000 in prizes available for the winners in the open category for both the women’s and men’s divisions. The children’s and teens’ category winners will receive a medal and a trophy. The event will serve as practice for the younger set as they head into the 2017 National Olympics competitions. The courts where the games will be played are ideal for beach volleyball. They’re located in an area known as “Las Escolleras,” practically in the residential area of this microdestination. The beautiful picture-postcard perfect Isla del Coral will serve as an inspiring backdrop for both the players and the public from Guerrero, Oaxaca, Veracruz, Pueblo, Ciudad de México, Baja California, Norte, Sonora, Sinaloa, Zacatecas, Jalisco, Colima and Nayarit. For more details visit their webpage at: www.hotelesdeguayabitos.com.mx.